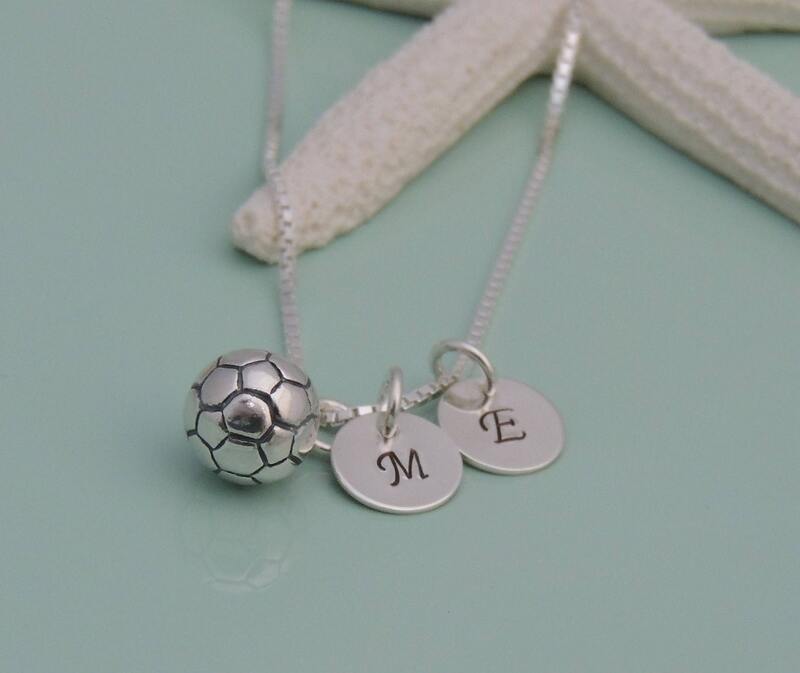 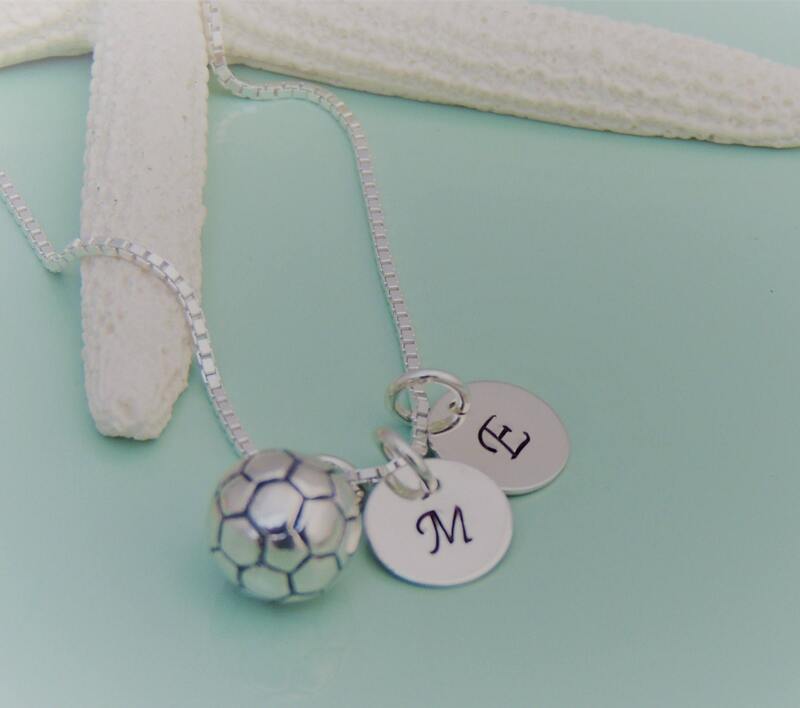 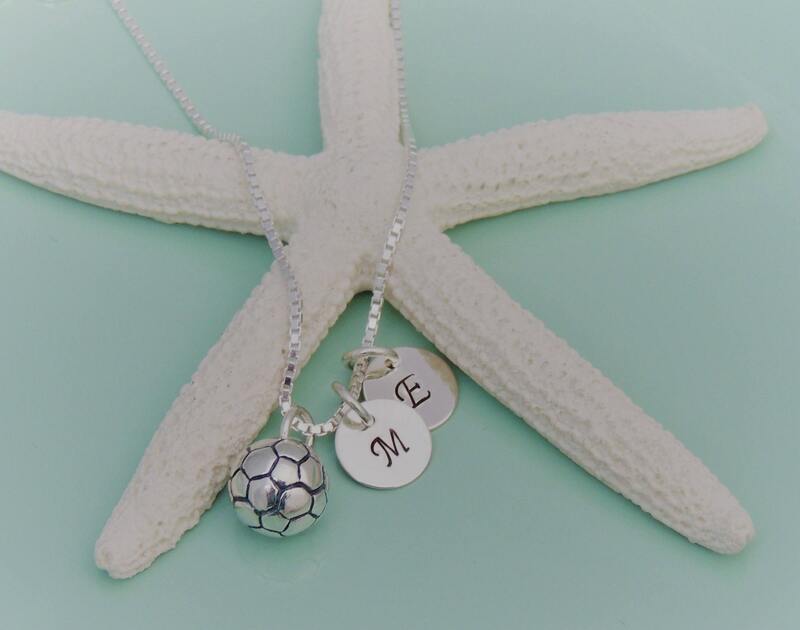 This necklace features a solid sterling silver round soccer ball charm and your choice of sterling silver initial discs. 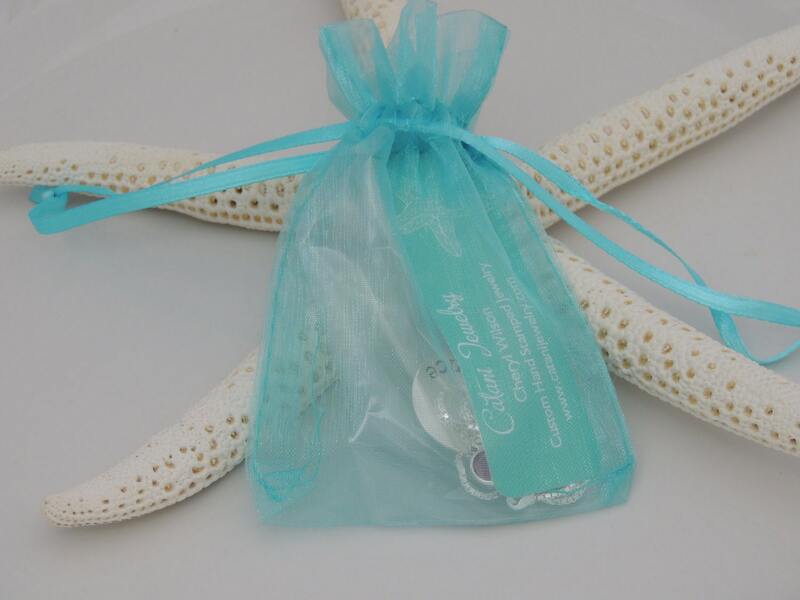 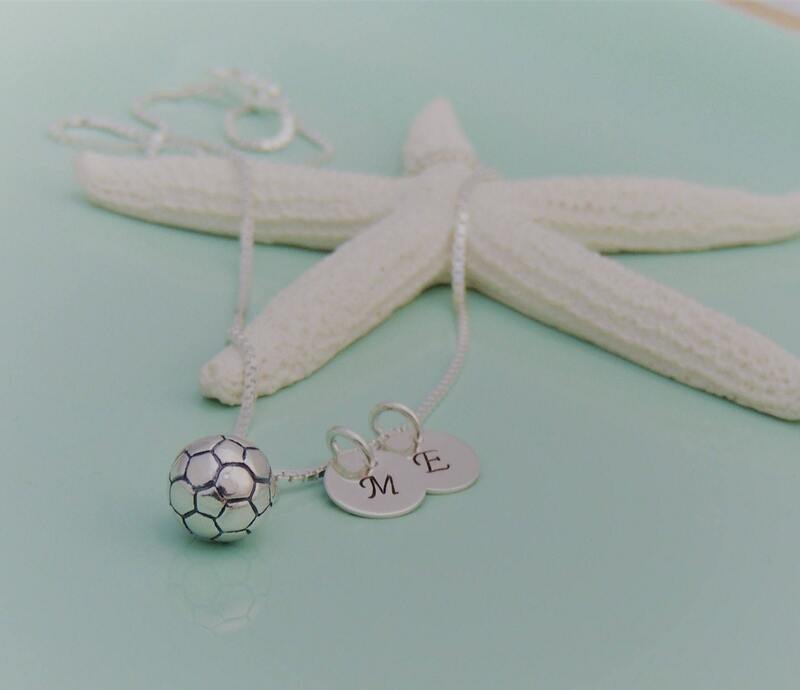 The round soccer ball charm measures 12mm in diameter. 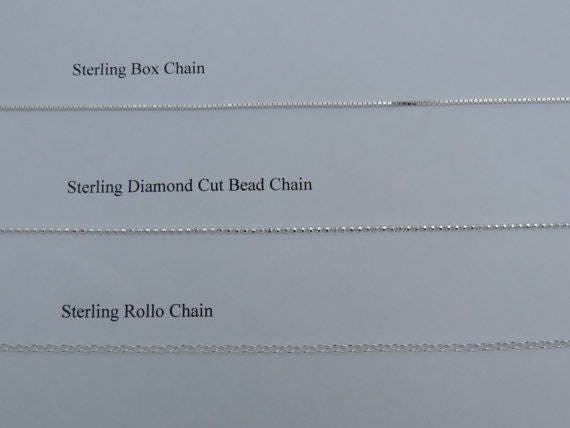 Each sterling initial disc measures 9mm in diameter.